Our mission is to maintain the integrity and transparency of the campaign finance process by enforcing the law, educating the public, administering public financing, and training campaign committees in order to encourage compliance. 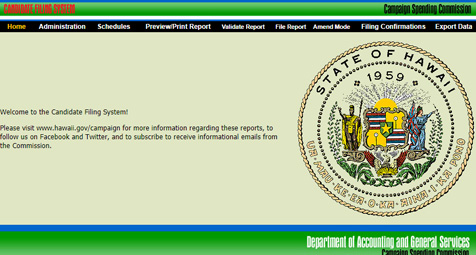 The Candidate Filing System is an electronic filing system used by candidate committees to register and file reports with the Commission. 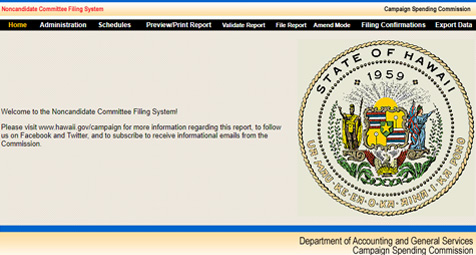 The Noncandidate Committee Filing System is an electronic filing system used by noncandidate committees to register and file reports with the Commission. 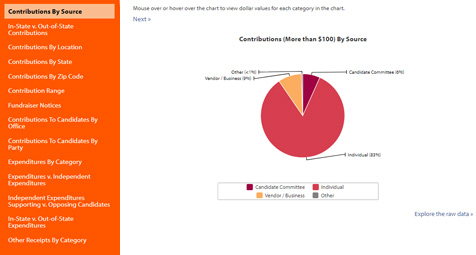 View 12 visualization charts of a candidate committee's campaign spending data by election period. 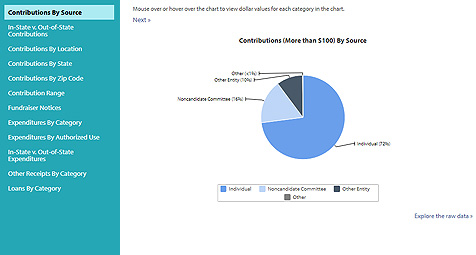 View 14 visualization charts of a noncandidate committee's campaign spending data by election period.